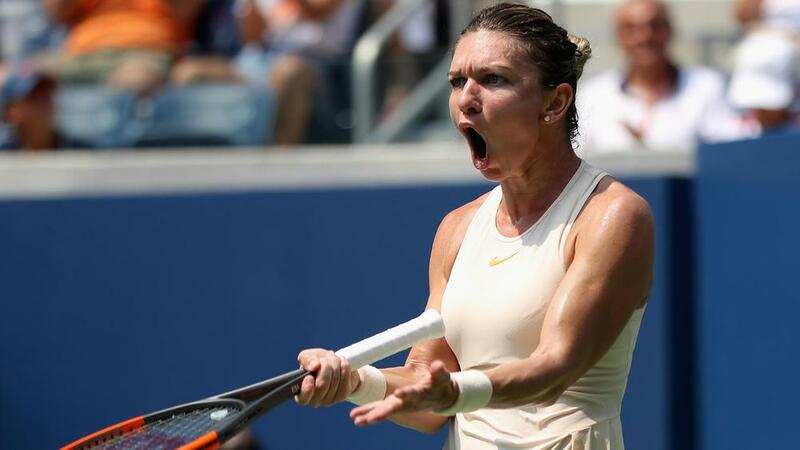 Simona Halep made a first-round exit at the US Open, as Venus Williams and Sloane Stephens progressed on Monday. Halep became the first top-seeded woman to lose in the first round at Flushing Meadows with her defeat to Kaia Kanepi. Williams was pushed in a battle against fellow veteran Svetlana Kuznetsova, while last year's champion Sloane Stephens advanced. Kanepi came out swinging from the start against Halep and the top seed was unable to contain her. The unseeded Estonian reached the last eight in New York last year and was determined to throw everything at Halep as she eyes another deep run. "She has been playing really well in US lately, so I thought I just have to be aggressive and try to stay calm," said Kanepi. "Everybody can beat everybody on a good day, so that's what I also thought, I know Simona is number one, she plays constantly really well, but I can play really well, too." Williams maintained her proud record of never having fallen at the first hurdle in her home major. The evergreen 38-year-old, a runner-up on her US Open bow 21 years ago and a semi-finalist last year, survived a huge battle against Kuznetsova. Williams could come up against her sister, Serena, in round three after seeing off the Russian 6-3 5-7 6-3. Stephens, the defending champion, was largely comfortable in a 6-1 7-5 victory over Evgeniya Rodina. The American crushed 24 winners to go with 22 unforced errors on her way to a win in 76 minutes. Garbine Muguruza did not come close to defending her Wimbledon title, falling in the second round, but the 12th seed thrashed Zhang Shuai 6-3 6-0. Seventh seed Elina Svitolina, beaten in the first round at the All England Club, saw off Sachia Vickery 6-3 1-6 6-1. Karolina Pliskova, runner-up two years ago, was a 6-4 7-6 (7-4) winner against Zarina Diyas.